When I semi-spontaneously decided to go on a round-the-world trip in February 2010, such a quick decision was only possible because I was already freelancing and so I was able to pack up and take my projects on the road with me. Why sit idly by at home slaving away when I could be out experiencing the world at the same time, I thought. Combining round-the-world, long-term travel with work means that I have a guaranteed income, but on the other hand it means that I had to plan our travels around our work schedule. So, how is that working out, you ask? Seven years into a work-travel lifestyle, I can say that ‘digital nomadism’ is definitely a feasible option – but only if you know from the outset that you will be traveling slowly. 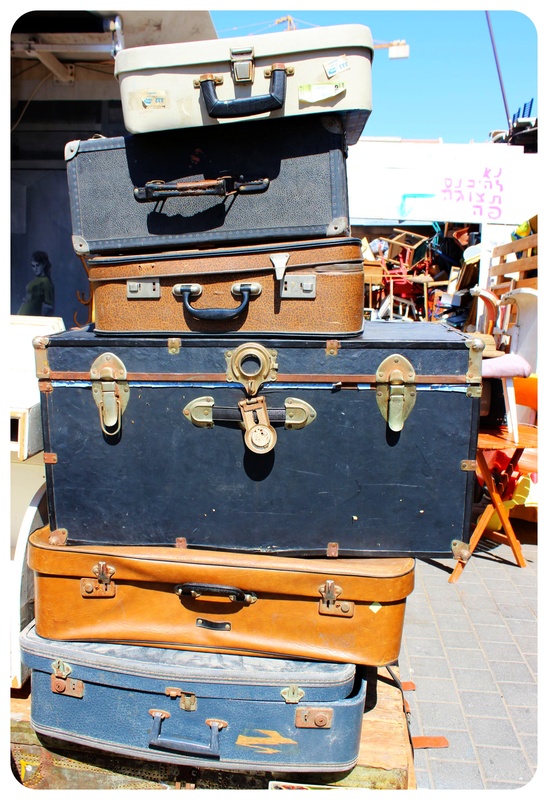 For those on a fixed schedule who can or want to only spend six months or a year on the road, fitting in a full work schedule with sightseeing and travel will be a difficult balance and probably also very tiring. Keeping clients happy is priority number one, as work means money and money means longer travel. This can be hard with a Caribbean sunset beckoning you on the beach, but no matter how long it takes to finish, work must come first. I work mainly on deadline-focused projects, and so I usually finish up what we’re working on before heading out to explore a place, or take full days in my AirBnb working away when we would rather be sitting on a plaza somewhere watching the world go by. It helps enormously to schedule your days. List what you want to achieve and make a plan to hit your targets. Plan what time you need to start and finish work in order to keep in perspective how much there is to get done each day. 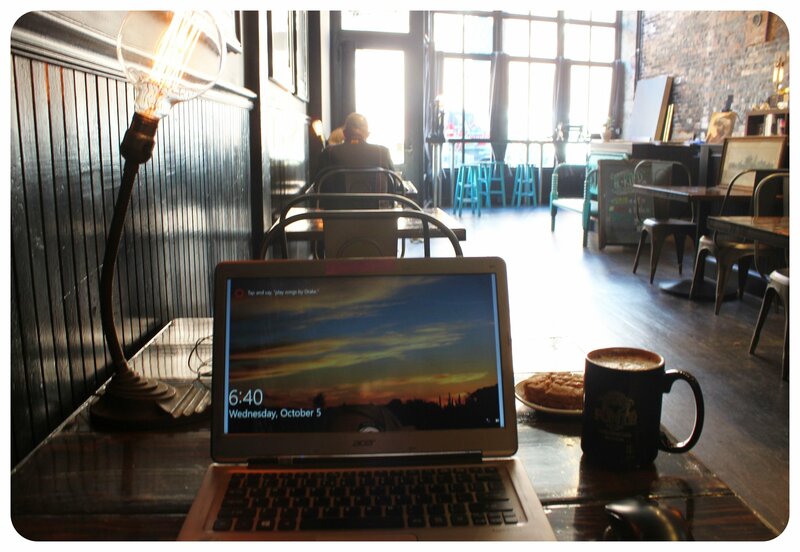 During a heavy travel phase, I prefer to spend whole days working and whole days playing where possible. When I stay somewhere for an extended period of time (two weeks, a month) I can better schedule working mornings and exploring (or beach!) afternoons. For those who have taken a year just to travel, sleeping in or sleeping off a hard night come with the territory. When you have undertaken a work/travel lifestyle, however, starting work on time each day is a must. We found that starting to work as early as 7 am enables us to fit so much more into a day. 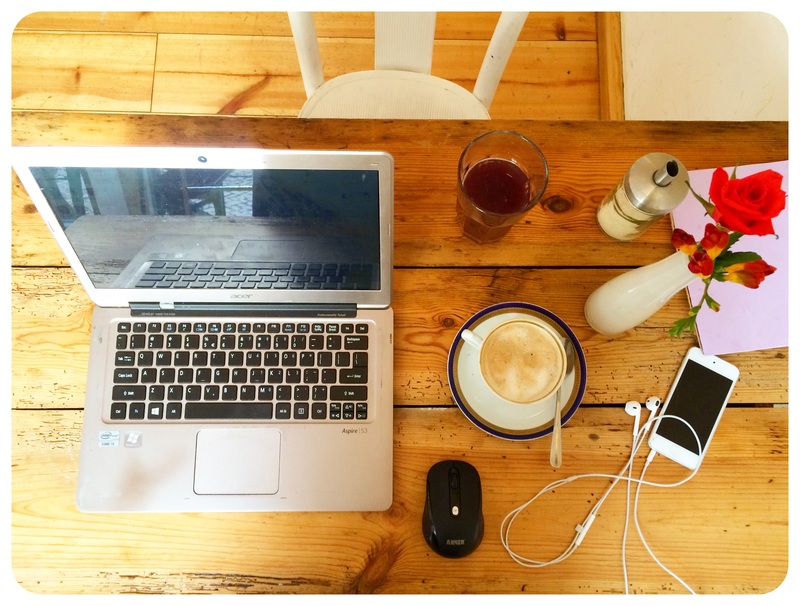 Because we both work for Europe-based clients and we are located in Latin America at the moment, it is important for us to get up as early as possible in order to be online when our clients are online. 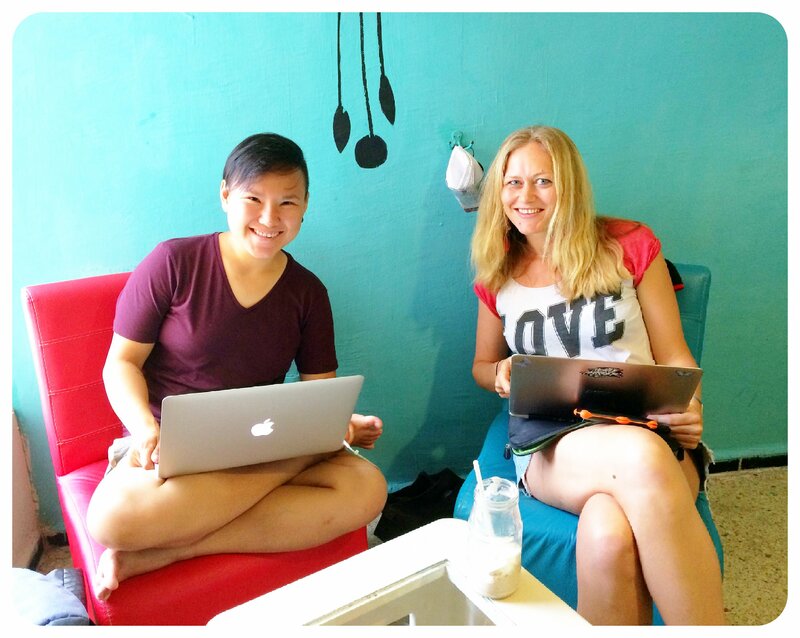 While it’s true that all work and no play makes a dull traveler, adopting a lifestyle as a digital nomad means that you have to be willing to work, and work hard! Sure you would rather be out exploring than sitting in front of a laptop screen. Sure the people in the hostel are partying it up and having a great time while you struggle to meet a deadline for a client thousands of miles away. In order to travel and work, however, you have to stay strong and focus on your need to work to continue your income stream. Some people might just say ‘f!ck it’ and join the party, but if you want be successful in the long-term, you need the discipline to get your work done. Tell yourself that this is a lifestyle, not a gap year. Plus, if you schedule your time right and find your rhythm, you should be able to join the party anyway! 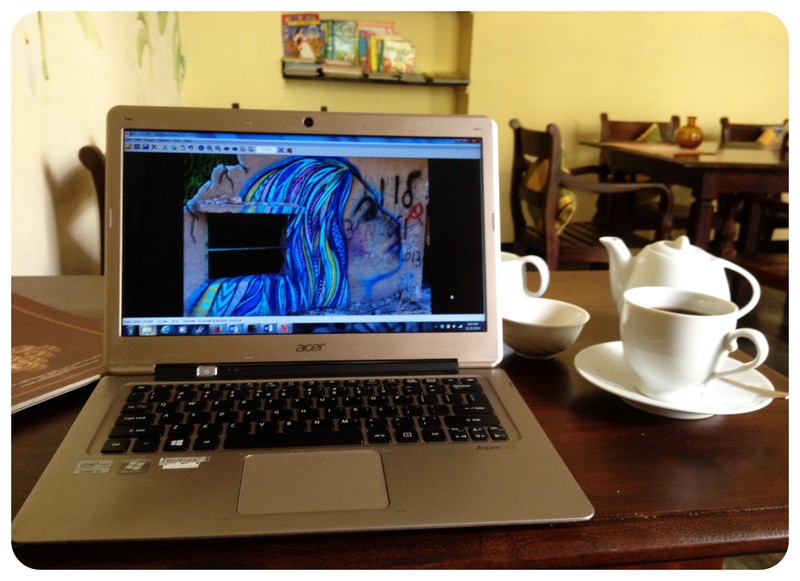 When purchasing a laptop for your digital nomad life, choose wisely. My main criteria: battery life (because there aren’t always power outlets), weight (I wouldn’t want to drag a heavy MacBook around the globe with me! ), operating system (I am a Windows girl), 2-in-1 (laptops that can be turned into tablets – honestly, I prefer having a separate tablet), size (since I only write, I don’t need a huge screen, but I know several people who work with graphics who need larger screens), and then there are of course components like processor, hard drive, RAM and graphics chip. Another thing to consider: cloud storage. Never rely on external hard drives. I learned this the hard way, when two of my hard drives crashed. Now, I store all my important documents online. 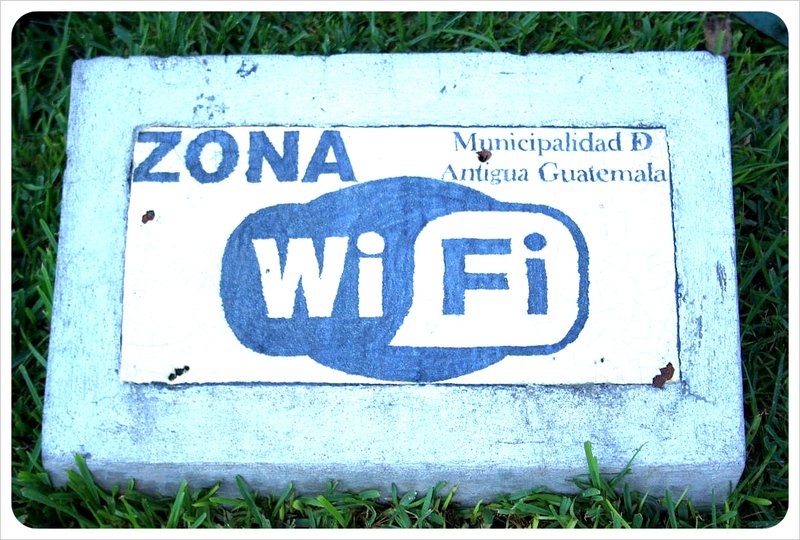 I would say 99% of all digital nomads rely on the internet, so make sure that the place you’re staying has reliable wi-fi. Nothing is worse than losing internet connection in the middle of a telephone conference via Skype or not being able to attach the documents you’re supposed to send because of a weak connection – ten minutes before deadline. This need does limit your accommodation choices but with some research before heading to the next place you will always find an apartment that has wi-fi. However, make sure that your connection is safe because for your information, identity theft might happen to anyone and don’t let unsafe connections ruin your important data. Just in case you don’t want it to happen to you, read this LifeLock Review to know how you can be protected. Plans are always a nice thing to have, but most of the time, things don’t work out exactly as you thought. The best thing to plan in is extra time. Taking into account things like slow internet connections, broken down buses, noisy neighbors and the fact that maybe you DID just say f!ck it last night and joined the party, your work might take longer than you think to finish. Scheduling more time than might seem initially necessary to complete a project creates a buffer against the factors that are out of your control. That way, should everything go right, you’re far ahead of deadline, thus keeping clients very satisfied, and should just about everything go wrong, you still manage to meet your deadline and your clients are none the wiser. If you are currently on the road and live the lifestyle of a ‘digital nomad’, feel free to share your tips how to successfully combine travel & work in the comments below! When I think about the fact that I’ve been on the road since April 2010, I realize that that’s an incredibly long time – next spring it will be half a decade that I’ve been roaming the globe! While most of the things in my backpack haven’t changed all that much (I do pick up a new shirt or some pants every once in a while, but other than that, the contents of my pack still look pretty much the same they did in 2010). One thing that has changed considerably over the past few years though is the content of my travel technology bag, which now even contains some things that weren’t on the market yet when I left London! Some gadgets even revolutionized the way I travel and I can’t imagine not having them with me. The only thing that seems to get bigger is my camera equipment – while Jill Starley-Grainger mentions in her travel kit for the luxury traveler that she didn’t even bring a camera on her last trip because her smartphone camera was sufficient for her, I seem to add new lenses, filters and other gear regularly, but I just don’t feel like a camera phone produces images that are good enough to be published here and in the other publications that I write for. 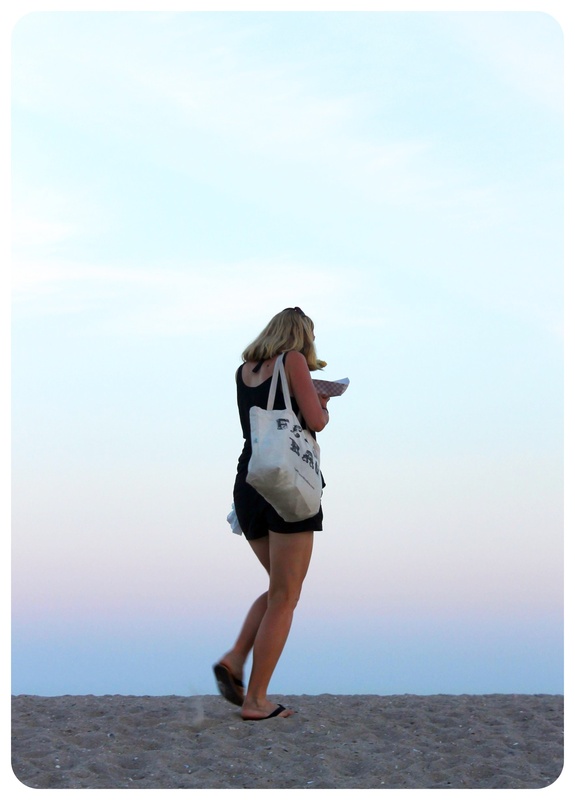 When I started my round-the-world trip, I was carrying four or five heavy books, for example. These days, I carry a slim, light-weight Kindle that holds 3,000 books. I stated out with a Netbook which felt like the neatest thing compared to my clunky, heavy Toshiba laptop. While the netbook was fine in the beginning, it couldn’t cope with the amount of work I did on it over the months to come. Luckily, laptops got considerably slimmer, smaller and lighter, and when I went back to a laptop, it didn’t make all that much of a difference to the weight of my bag. I left home with a tiny MP3 player, happy about how little it was, but soon discovered that an iPod Touch, only a little bit larger, was not only a gadget to play music on, but allowed me to download podcasts, take photos, scribble down notes, access maps even when I was offline, connect to the internet wherever there was Wi-Fi, and had enough room for a myriad of apps to keep me entertained on long bus and train rides. When I first picked it up, I couldn’t understand how I survived so many years on the road without this tiny device because my batteries were always about to die. With this charger you can charge any USB-powered device: iPod, iPhone, Kindle and even some cameras. Since I picked it up, I haven’t had the problem of ‘my phone ran out of battery anymore. 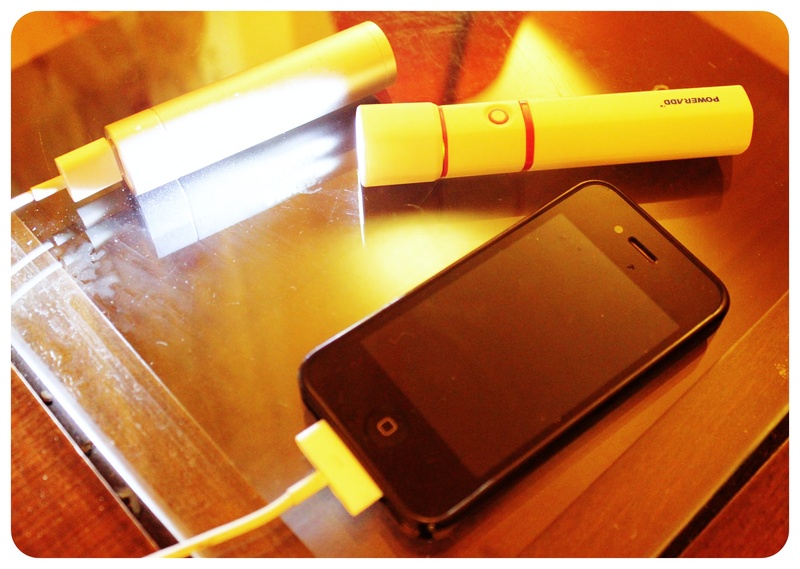 I even added a second charger recently which also serves as a flashlight – gotta love a 2-in-1 gadget! I remember how amazed I was by my first USB stick – which held 128 MB… basically nothing! This year, I picked up a USB stick that holds 128 GB – what a difference! I love how modern technology is able to make everything smaller and smaller these days! For a traveler, that’s perfect. A USB-sized hard drive doesn’t only hold thousands of the photos I take (and other things I want to back up) without taking up as much space (and weight) as an external hard drive, but it’s also easier to hide. And not only do these devices get smaller – but they also get cheaper. This might be not important to some people, but I will always choose a company with a strong focus on social responsibility over a company that is all about profits. LSTN is one such company with a strong social focus: for every pair of headphones sold, LSTN helps restore hearing to a person in need through the Starkey Hearing Foundation. 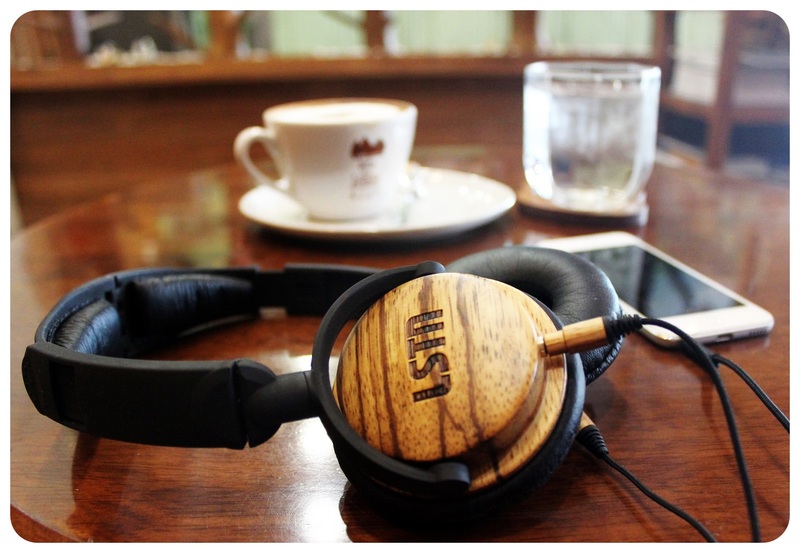 But let’s talk about the headphones themselves, which are one of the few rare headphones that are made of wood. If you are a music lover then you’ve probably heard of the acoustic benefits of wood housing. The sound quality of the headphones is excellent, and even though they don’t claim to be noise-cancelling, I’ve successfully cancelled out traffic noise, cafe surroundings and other noises in public spaces, all while not disturbing strangers with the latest Taylor Swift CD, since the headphones don’t let any noise through until a very high volume. The headphones are very light, which I as a full-time traveler truly appreciate, and look divine with the wood housing (you can choose between ebony, cherry and beech, by the way). At $99, they are also very reasonably priced. You can buy them on Amazon.com. These foldable, light-weight goloshes were perfect for my summer in New York, and my trip to Niagara Falls! While I couldn’t just slip them over my flip flops (supposedly you can just wear them over your shoes), they were a life saver on many occasions, when a sudden downpour – or more like: heavy rains – relieved New York City from the summer heat and humidity for a while. I just took of my flip flops and changed into my go-gos and was good to go! They are so light and small that I didn’t even feel them in my tote. 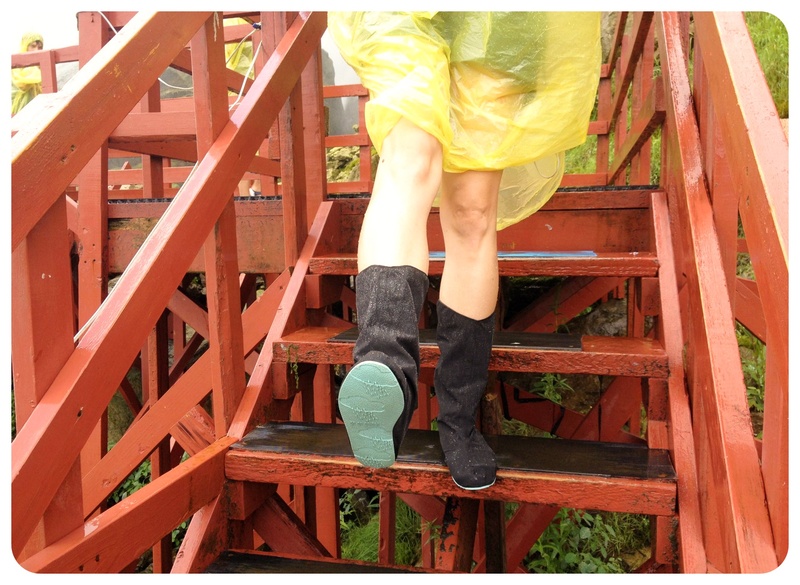 When I went on my trip to Niagara Falls, they proved useful once again when I got soaked on the Hurricane Deck. I don’t know why I didn’t think of picking up one earlier but tote bags seem to be perfect to travel with! While I usually use my backpack when I head out to explore a place, sometimes it just feels a bit out of place. A tote bag is a little more stylish, yet sturdy and resistant, and it doesn’t add any weight to your luggage – and it doesn’t take up any room. You can just roll it up or put it flat on the bottom of your bag – perfect! 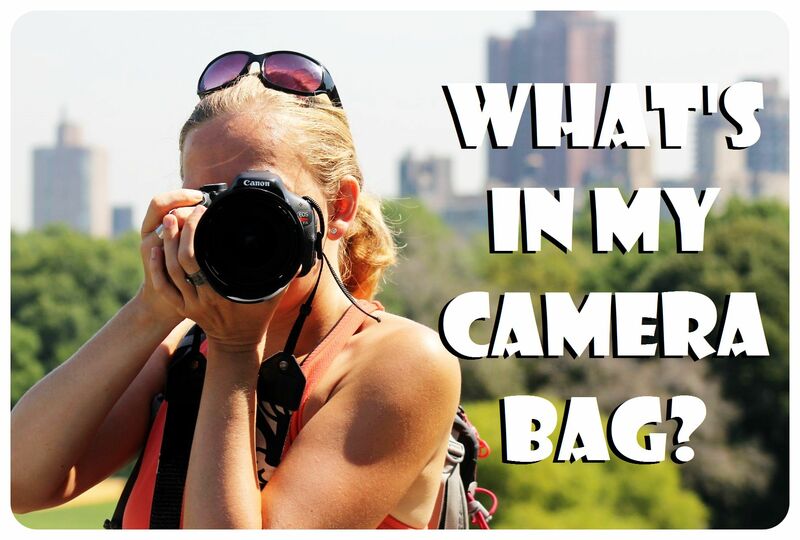 For a full list of things I am traveling with, check out my digital nomad packing list! Tomorrow we are heading on a trip to the waterfalls of Agua Azul and Misol-Ha and the Mayan ruins of Palenque. No doubt, there will be spectacular scenery, wildlife and local customs that would be great to get on film, and I’ll certainly catch some of it on my Kodak zi8 pocket camcorder. However, the footage that gets uploaded to our YouTube channel won’t be edited, unfortunately, because of all the hi-tech, user-friendly and useful aspects of the Kodak, the editing options are terrible. Don’t misunderstand; the Kodak Zi8 is a fantastic device which has moved the pocket camcorder market up a level. Though we’re not an overly tech-savvy pair, we dig in and do our research before committing to a product that will form an integral part of our travel (blogging) experience. We snapped up the camcorder in the UK for ₤109 ; an excellent price for a sturdy, compact camcorder. The zi8 is a vast improvement on its older sister, the zi6, and this version has also surpassed the more famous and funky-looking Flip Video camcorders. The device films in standard and High Definition; the top HD mode is 1080p, plus there are two 720p modes – one at 30 frames per second and the other at 60, good for grabbing sharper images of fast-moving objects. This means that the footage you record looks great even when hooked up to most massive HD flat screen TV, and there is a cable included for this. As you travel, however, most likely the footage is seen either on YouTube or on the device itself. The zi8’s wide, bright LCD screen is much better than the smaller Flip screen, and makes watching footage on the device much easier. YouTube clips need only footage in a standard film setting, which allows for many more hours squeezed onto the SD card. (You will have to purchase an SD card with the zi8, unlike with the Flip which comes with 4G of space. Although this is an extra cost, it also means that fresh cards can easily be swapped into the device on a busy filming day without deleting or uploading clips onto the computer first). Also an improvement compared to the Flip is the 5 Megapixel camera. After all, if phones can take snapshots, why shouldn’t a camcorder be able to? The zi8 takes great pics. Like the competition, the zi8 has a built-in USB stick to transfer files off the device. Even better, however, is that the Kodak comes with a rechargeable battery which charges whenever the USB is plugged in and until recently, the Flip depended on 2 AA batteries. The newer Flip Mino does come with a rechargeable battery, but the Mino still doesn’t film in HD and only has a 2x zoom. The zi8’s 4x zoom is high-quality, if not a bit too jumpy. Traditional camcorders have a much better stabilization element while filming as compared to pocket camcorders. An additional feature unique to the Kodak zi8 is the external mic jack which allows users to get a much higher sound quality than relying on the built-in mic. This is very useful for travel bloggers who are conducting interviews, filming tour guides or creating online travel videos. But it is this last little snippet – editing the video – that has been the challenge with the Kodak. Between the .mov format of the HD footage and the downright medieval software which accompanies the product, editing the footage has been a complete flop so far. From experience, the iPhone 3GS allows users to edit/trim footage directly on the device with one finger. Literally. With the zi8’s free software (which is not made by Kodak and for which the company claims no responsibility), even trimming the files is a pain, and as of yet has been impossible. Much less useful editing options include adding a bit of sound or text over the video before uploading, but the footage would still remain uncut. There is free editing software available online, but apparently the .mov file format requires QuickTimePro. In principle, we are not opposed to purchasing this or similar software, but for those travelers like us who have moved over to the lightweight and practical netbooks, it might not even be possible to use the program at all – the RAM does not allow for large software programs to run without seriously slowing down everything else on the computer. In fact, after speaking with a few tech-geeks much more knowledgeable than ourselves, it seems that doing any editing at all on a netbook is out of the question. If anyone out there can advise the best way to edit footage from Kodak zi8 HD .mov files on my Asus Eee PC netbook, we would be eternally grateful. Of course, then we’ll actually have to take the time to do all the editing! But it’s worth it. There have been so many moments that we have recorded and wanted to share, but couldn’t thanks a blip or a beep or a sneeze or busting out into laughter inappropriately that should be edited out before being added to the infinite eternity of the web. Read this fellow Kodak zi8’s love-hate relationship with the device. Here are two of our unedited videos with the Kodak zi8 so far – the quality and zoom are excellent, the sound quality (no external mic) leaves a bit to be desired but overall we are very satisfied with the device. Kodak Zi8 camcorder - smaller than a postcard!